With the abhorring cultural decline in Egypt one can’t help but draw a correlation between such decline and the rise of radical or what became known as political Islam, that has swiped the country and already mutated into terrorism in the name of God. It is quite a thorny thought that on first impulse, may initiate fervor attacks and criticism from devout Muslims. However, it is not Islam that is under attack, but rather the actions of radical sheiks and religious scholars who have appointed themselves custodians of the faith; the neo-Islam. These fanatics believe that by demolishing the culture of beauty and creativity from the hearts and minds of people, and by filling the vacuum with God’s teachings that they have falsely misinterpreted to support their doctrine, that would enable them to resurrect their lost Caliphate. The warped mentalities of zeal and fanaticism that ceased to evolve since the Middle Ages, persist on rejecting any adaptation to exist within the contemporary boundaries of modernity, except, of course, the use of modern devices, gadgets and weapons that enable them to spread their venomous belief of hatred, intolerance and annihilation of the other. They are fighting arts and science today and ignoring that the Islamic Caliphate thrived in Baghdad and Andalusia when the Emirs embraced tolerance and enlightenment. 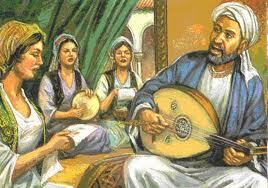 At the peak of the Andalusian and Abbasid Dynasties when Arabs were more advanced, refined and cultured than the neighboring lands, arts, music, science, philosophy and literature thrived. And no historian would refute that the light of the Islamic civilization went out when they followed the rigorous creeds of fanatic scholars. Egypt, once the beacon in the Middle East; its culture has not just gone stagnant, but is also sliding into the dark ages with tangible decline that the country has not witnessed in more than a century. Anyone who would refute the idea that Islamists were to blame, since they were in power for just one year, must remember that the destruction of the cultural identity had started over half a century ago. The Islamists whom their target is to wipe the Egyptian identity were the catalyst added to the equation and who played a viable role in expediting the process. In other words, the rise of Wahhabism influence imported from the Arabian Sahara was directly proportional to the deterioration of the cultural standards of the people. The decay in the cultural infrastructure of Egyptians has left its fingerprints everywhere. The masses are no longer appreciative of music, literature or fine arts. And with the plummeting cultural standards many Egyptians, who are nostalgic to the good old times, are wondering what the hell had happened to the artistic taste of the people. Affected by collective reasons, the snow ball that had started rolling with Nasser’s military coup d’état in 1952 had gained momentum along the way. For many years after the military coup, and until Nasser’s death and beyond, Egypt was the cultural beacon that shone on the surrounding lands. It may be more truthful and accurate to describe Egypt during that time as a vehicle that was still moving with the momentum of the past era. Music, theater, movies, opera, ballet, folkloric and other forms of dancing, and arts thrived prior to Nasser and kept rolling by the force of inertia until it finally ran out of momentum. With the international acclaim that came with the Suez Canal, Egypt became a magnet that attracted artists, architects, writers, merchants and businessmen from all over the world. They settled in Egypt, blended in this cosmopolitan society and lived in harmony with Egyptians. These expatriate communities were pivotal in the building of the thriving culture. Unlike Mohamed Ali, the founder of modern Egypt, and his successors, Nasser’s dreams or illusions – depends on which side of the spectrum one stands – of creating a Pan-Arab state and bringing Egypt back to the sphere of the Arab realm, was a repellent to the expatriate community. To achieve his dreams Nasser stomped on the bodies of the foreigners and the Egyptian Jews. His vision not only failed to unite the Arabs, but also deprived Egypt of a community that had enriched it culturally, professionally, economically and socially. And while it was fortunate for the neighboring countries to inhale the richness of the Egyptian culture, they contributed nothing to Egypt but their impoverishment; then, oil had not yet been discovered. With the forced or voluntary expulsion of expatriates who were major contributors to the Egyptian cultural life, a vacuum was left in many sectors of the society. And without having a new experienced generation to step in and fill the gap; many activities eventually faded. And as the older generation of Egyptians who grew up living in this cosmopolitan environment aged and perished, it was replaced with a newer one that had already been bred with minimal interest or appreciation to arts and beauty. The cultural decline that had started during Nasser’s time was politically and not religiously motivated. In one of the most failed moves by a leader, the sequestration of assets and properties included movie theaters, studios, labs, music and movies production companies that belonged to both Egyptians and non-Egyptians. Under his dictatorship, the censorship bureau thrived and set new standards for books and movies’ production. It is no surprise that the government control of the entertainment business propelled the decline. Nasser, with all his faults, however, may be credited for curbing the influence of the Muslim Brotherhood [MB] who were after closing down the entertainment business altogether. With the crack down on them and as they became enemy of the state, the MB understood that they won’t be able to overpower Nasser, so they changed their strategy. Instead of fighting the leaders they brainwashed the people. With the death of Nasser in 1971, the snowball of cultural decline that had started rolling kept gaining momentum. Inevitably by then the MB had already entered the scene. The MB and the other groups that were spawned out of it, adopted a rigorous creed that battles human creativity and arts in all its forms: music, sculpture, photography, dancing and painting. They consider such activities as a waste of the Muslim’s time that should be spent in worshiping his God. With no appreciation for culture or arts, the neo-Islamists’ continuous battle has and always been the destruction of both the Egyptian identity and culture to be easier for them to control the people. They view the monuments of the ancient Egyptian civilization as idols that should be destroyed; same as the Taliban destroyed the Buddha Statues in Bamian. Also in their footsteps the Taliban justified the burning of books and films’ reals of Afghani movies produced prior to their rule thus wiping out the cultural heritage of the country. And following the same creed, the books of the Andalusian philosopher Averroes were collected and burned during the reign of the Andalusian Emir Al Mansour who ruled from 1884 AD – 1199AD. 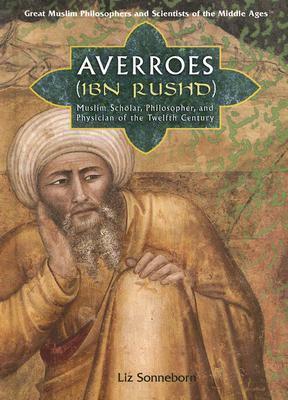 Averroes, known in Arabic as Ibn Rushd, was the founding father of secularism in Western Europe and whose work was the base of the 13th century philosophical movement. Burning the books of this great philosopher was among the many nails in the coffin of the Andalusian Caliphate. I don’t want to keep beating a dead horse, but history would be distorted if we ignored that the 30 years of Mubarak’s corrupt regime contributed immensely to the decline of all human values. Mubarak, a leader with no vision, had set the clock back to the dark ages. The last generation born under his rule had been living in nothing but a cultural decline. And the boiling frog theory could easily be applied to both the older and younger generation of Egyptians whom their culture was being destroyed gradually and steadily. The boiling frog story is a widespread anecdote describing a frog slowly being boiled alive. The premise is that if a frog is placed in boiling water, it will jump out, but if it is placed in cold water that is slowly heated, it will not perceive the danger and will be cooked to death. The story is often used as a metaphor for the inability or unwillingness of people to react to significant changes that occur gradually. And that’s exactly what happened to Egyptians. 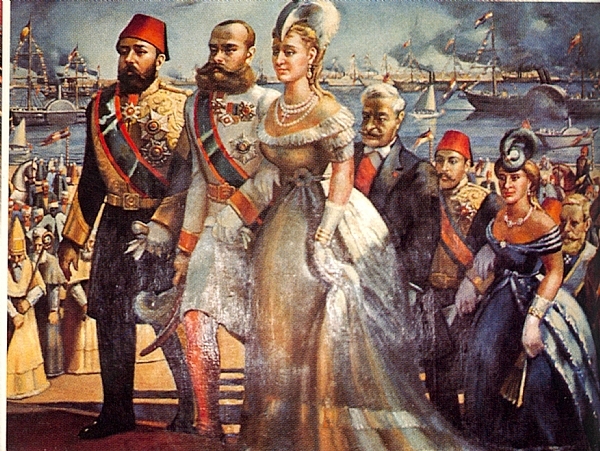 The neo-Islamists, and with the golden opportunity handed to them, of the absolute no reaction from the Mubarak’s administration towards the changes that were introduced through them into the society; they were able over three decades to sow the seeds that advocated against culture and arts as anti-religious. And with the punishment of God’s wrath hovering over the heads of those who are involved in them, arts were abandoned and creativity was chocked. And gradually they succeed in wiping out the remnants of a culture that was once glowing. But they continue on this slippery slope, Egyptians who were submerged inside the boiling pot where the frog was being boiled are finally feeling the heat and are wondering in apprehension how the decline had reached this deteriorating level. Unfortunately there are no short term solutions. The road to reformation is long and bumpy. There are no miracles or magic wands that would reverse the damage that the nation had been subjected to, but no hope is ever lost. Egyptians are well aware that there is a problem and acknowledging that is the first step to solve it. Salvaging the Egyptian culture is a mass scale project. It is the responsibility of every Egyptian. They owe it to the future generations. in reaction to the ban, restore my faith in the (long term) future of a liberal Egypt. A great vision, well written article and an excellent analysis to the cultural decay in Egypt.